Today I was asked how my Dad was doing by a parent I haven't had a chance to visit with in a while. I shared with him that Dad did pass away but I knew he was in a good place. Later tonight, I heard the news that evangelist Billy Graham died today at the age of 99. I also saw a clip on YouTube of Kathy Lee Gifford talking about her joy when her husband died--her comfort in the fact that her husband was joining Jesus. That is exactly how I felt when Dad went from his earthly home to his forever home with Jesus. Thanks Kathy Lee Gifford for putting into words something that I was unable to express. 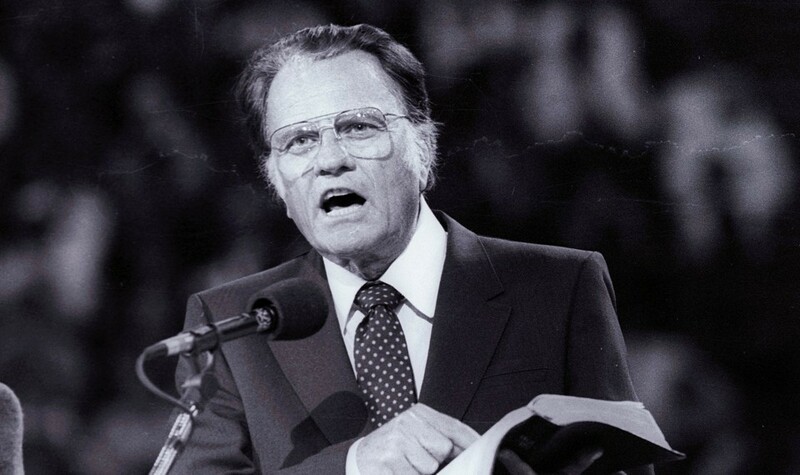 Rest in Peace Billy Graham. You brought Jesus to the lives of many and everlasting life to all that you saved.